From trying to park cars in too tiny a spot to misjudging barriers, these are some of the worst and funniest parking jobs ever! This is what we call "parked in lay..."
Horned by the Fire Engine? Which one comes first? The cars or the iron pipe? WHAT??? This is my own garrage ok! Von voyage... drunken dirvers... 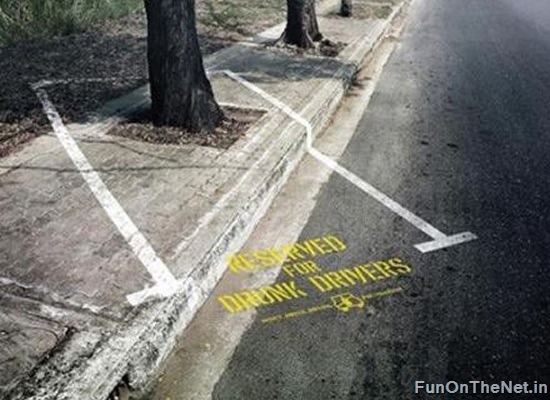 This is your parking space! And... that's all for today...! Happy working guys.